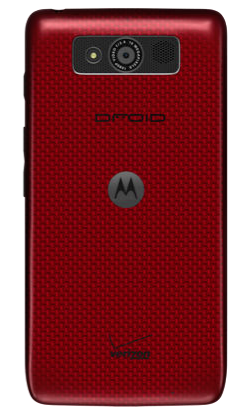 Verizon is now selling the DROID Mini in red through its online store, for anyone who has been waiting. As a refresher, the Mini is pretty much the DROID ULTRA, but in a smaller and more-compact package. It features a 4.3″ 720p display, Snapdragon S4 Pro 1.7GHz dual-core processor, 2GB of RAM, a 2,000mAh battery, and a 10MP back-facing camera. It’s a little powerhouse, for sure. In addition, it features all of the Touchless Control and Active Display hotness that comes with the ULTRA and MAXX. You can grab one on contract for just $49.99.